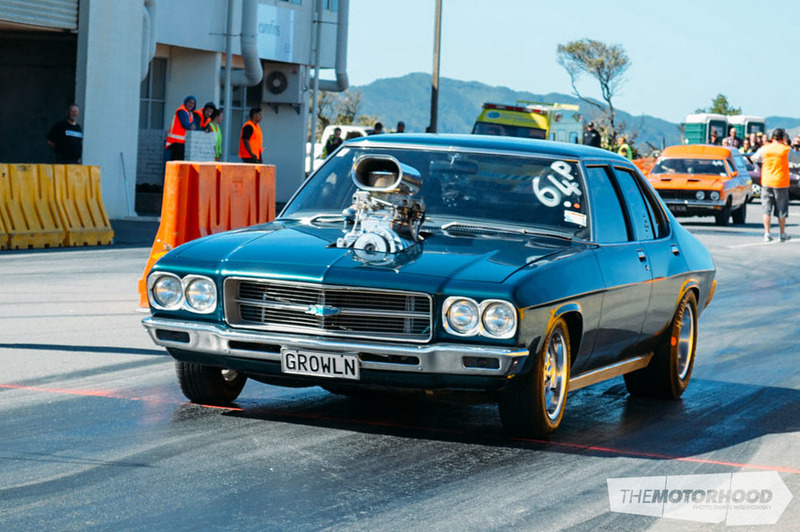 It was a full field of cars lined up for the 48th Annual Burgerfuel Port Road Drags on Sunday, November 30. A total of 63 cars came out on force to take part in the eighth-mile drag racing event, which has incredibly run for 48 years straight — without a single rainout. The format was a simple one — three rounds of qualifying then a break for lunch so the hard-working Cam County Hot Rod Club members could seed the vehicles according to their elapsed times. Due to safety reasons no vehicle could go quicker than 6.50 seconds over the measured eighth mile, meaning some of the faster drivers had to slow down their cars to avoid being put on the trailer prematurely. 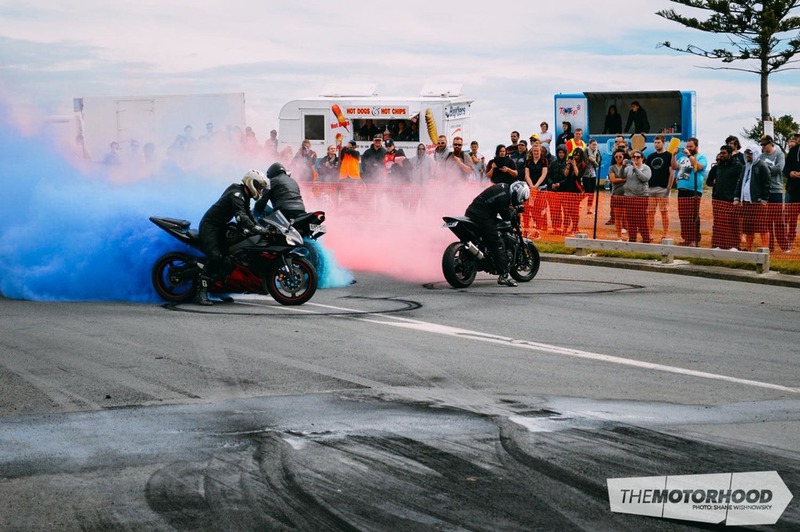 Between rounds, to allow for the cars to have a much needed rest, a handful of competition cars, bikes, and junior dragsters entertained the crowd. As the day wore on the burnouts got stronger and the races got closer. The numbers were quickly whittled away with finals in each class being run around 3pm. 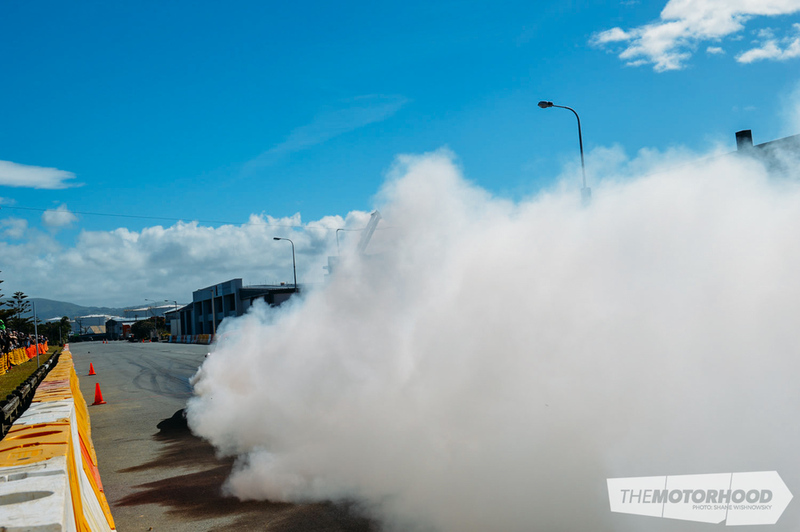 Capping off the day was the almost obligatory display of testosterone and tyre carnage, the smokefest! Those who stayed until the bitter end, of which there were many, watched as the capital city’s skies were filled with thick white smoke meaning no one left disappointed. Roll on 2015 and let’s see if we can make it 49 years straight with no rain! 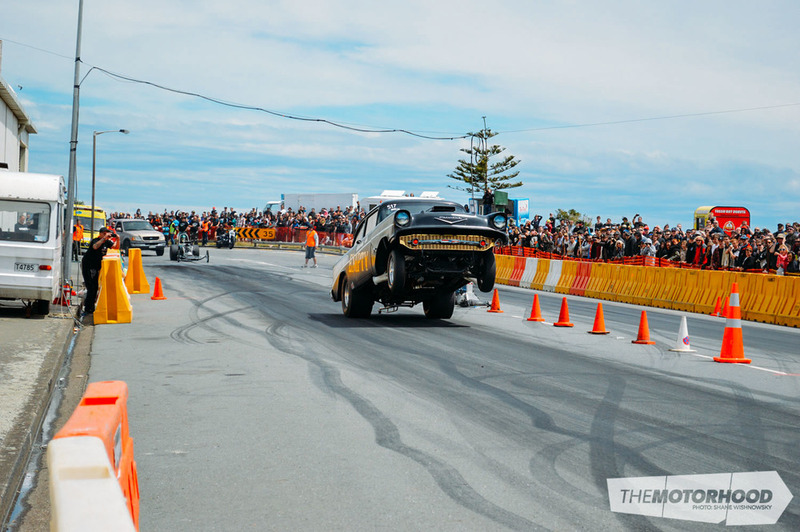 Check out the next issue of NZV8 for full coverage.